Last year was the inaugural year for the Conrad Collegiate Academy, which partners with Richland Community College to graduate students from high school with an associates degree. The program is quite competitive, and is drawing new students from across the district to Conrad, many of whom are interested in technology and robotics. This year, Conrad held a “signing day” for the upcoming freshmen, and we were invited to show off WhirlPool, and talk to new students and parents about our program. 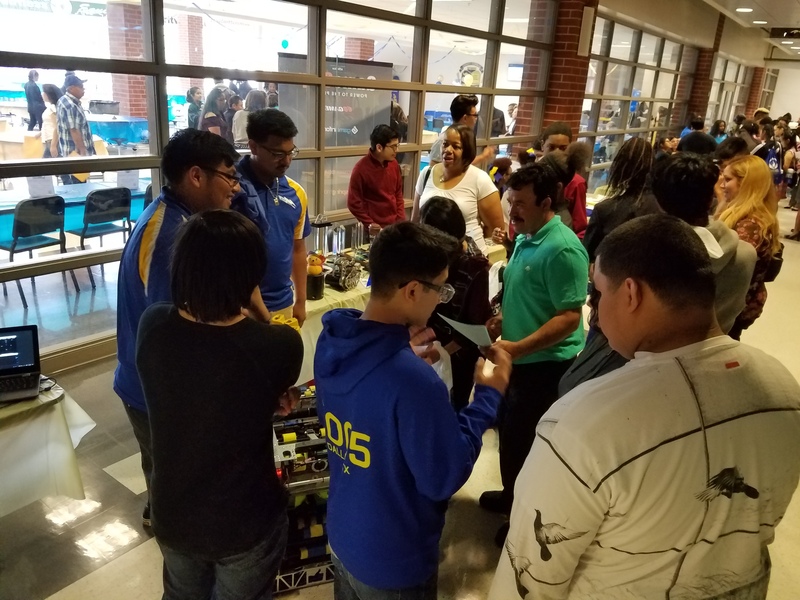 At this event we talked about how we created our robot, the awards and success of the team, and our team’s professional image in our various team apparel. One of the main reasons why this event was so critical for our team is that many of these students will hopefully be future RoboCharger members. We wanted to make sure they felt welcome to come join us and give them a taste of FIRST, so hopefully they choose to check us out in the fall.